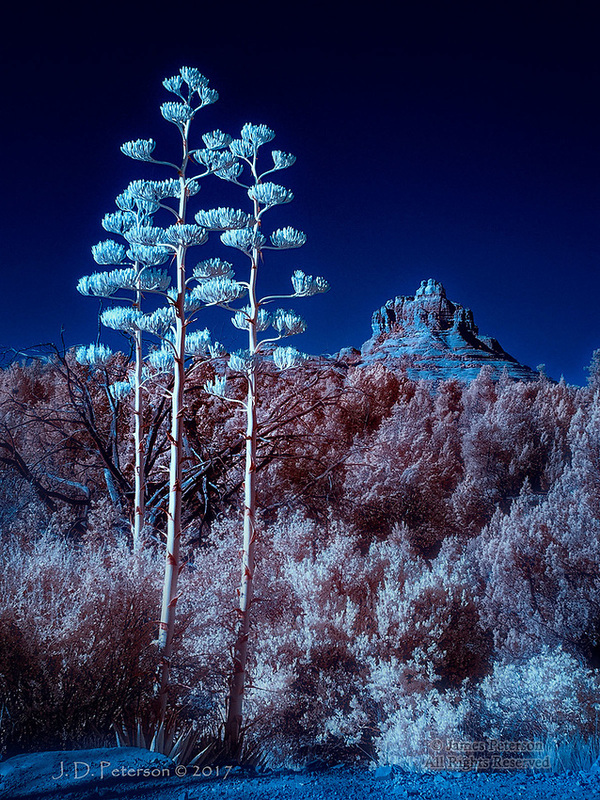 Three Century Plants near Bell Rock (Infrared) ©2017 James D Peterson. It's very unusual to find even two Century Plants (aka Agaves) growing so close together; they generally like to keep their distance from each other. But these three, along the iconic Bell Rock Pathway south of Sedona, Arizona, must have missed the memo.